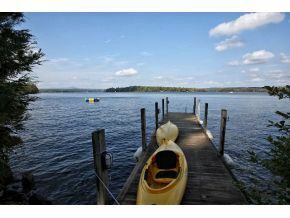 Scroll down to learn about the beautiful Lakes Region towns in New Hampshire. Click on a town to view current listings. 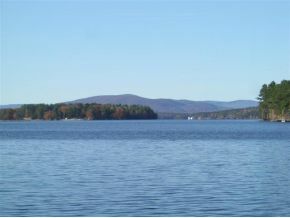 The town sits along Alton Bay, the southern end of Lake Winnipesaukee. Alton has many family-friendly attractions and outdoor recreational activities. 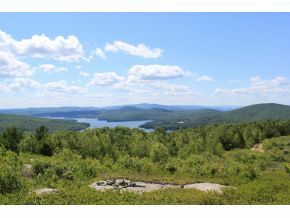 Enjoy stunning views of the Belknap Mountain range and easy waterfront access. 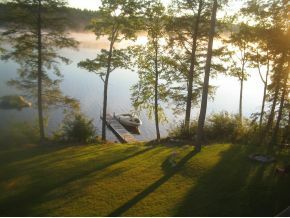 Barnstead is in Belknap County and the home of the Suncook Lakes. Whether you love sailing in the summer or hitting the snowmobiling in the winter, Barnstead has a variety of year-round outdoor activities. Center Harbor was a landing place for lake steamers and stagecoaches, making it a popular summer resort. Today, this lakeside town is still a hot spot for both seasonal and year-round residents. 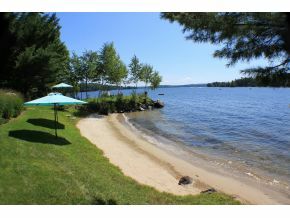 Center Harbor has beautiful year-round views of both Lake Winnipesaukee and Squam Lake. 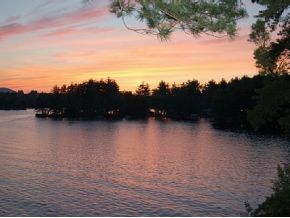 Freedom is part of Carroll County and is located between the White Mountains and the Lakes Region. 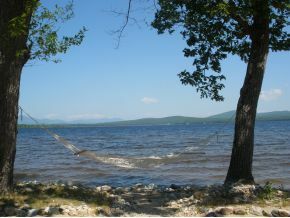 Ossipee Lake is at the southern end of the town. Freedom's many camps and resorts attract many seasonal visitors and residents. 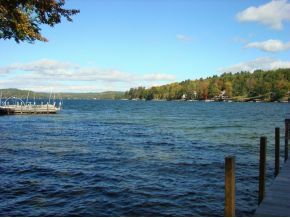 Gilford is located in Belknap County and along Lake Winnipesaukee. It is regarded as the "Recreation Center of New Hampshire", and rightly so. Spend the winter months on the slopes of Gunstock Mountain Ski Resort and enjoy summers sailing, fishing, kayaking and more. Laconia is a Belknap County home between Lake Winnipesaukee and Winnisquam Lake. It includes the villages of Lakeport and Weirs Beach. Laconia is a family friendly town for both visitors and permanent residents. Spend sunny days on Weirs Beach and enjoy the winter season with a variety of recreational activities. Milton is a Strafford County town and includes the village of Milton Mills. 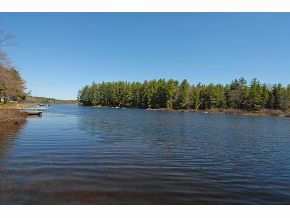 It is home to Milton Three Ponds - beautiful lakes that have easy boating access and a town beach. Milton has a rich history and is a small community that shares a school district with Wakefield. Meredith is a Belknap County home and includes Meredith Village. Lake Winnipesaukee boarders the northern area of the town. Meredith is the perfect town for vacationers, seasonal and permanent residents. It has a bustling downtown with specialty shops, delicious dining spots, summer and winter recreation activities, and much more. Enjoy beautiful views all year round and a vivid community. 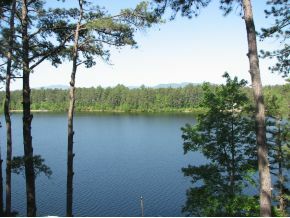 Moultonborough is situated between both Lake Winnipesaukee and Squam Lake. 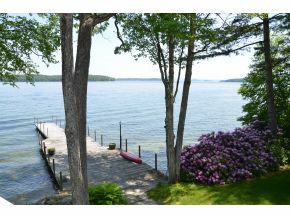 It is a Carroll County town and is the quintessential New England lakeside destination. 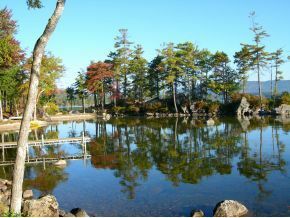 Both year-round and season residentials, as well as vacationers, can enjoy Moultonborough's historical sites and natural attractions. New Durham is a Strafford County town and home to Merrymeeting Lake. This is a family-friendly town that offers much more, year-round activities for both its residential and visitors. Enjoy a lakeside home with mountain views, including Mount Washington. Spend weekends hiking, snowmobiling, boating, and more! 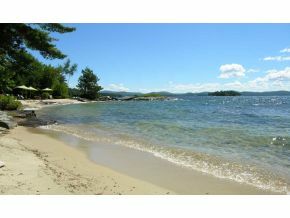 Ossipee is a beautiful Lakes Region residential town and a popular resort destination. It is located in Carroll County and made up of several villages. 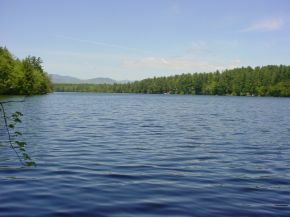 Ossipee Lake sits along the northern edge of the town. Tuftonboro is known as “The Diamond in the Heart of New Hampshire”. This Lakes Region town is part of Carroll County and is made up of a couple villages, including Mirror Lake, Melvin Village, Tuftonboro Center, and other. For permanent and seasonal residential, as well as vacationers, enjoy year-round activities: cross country skiing, fishing, enjoying the fall foliage, sailing on Lake Winnipesaukee, relaxing at one of the two town beaches, and much more! Wakefield is located in Carroll County and includes the villages of Union and Sanbornville. Seasonal and year-round residents enjoy lakefront and view homes, as well as a mountain landscape. There are many lakes and ponds that reside in and around Wakefield, including Lovell Lake, Pine River Pond, Province Lake, and many others. This was the first summer country estate in northern New England, thus the town’s slogan: “The Oldest Summer Resort in America.” Wolfeboro is located in Carroll County and has access to both Lake Winnipesaukee and Lake Wentworth. This beautiful lakeside town attracts residents and summer vacationers alike. Enjoy a family oriented downtown area with many restaurants and shops. There are also many outdoor activities that all can enjoy, including kayaking and hiking in the summer, and cross country skiing in the winter.